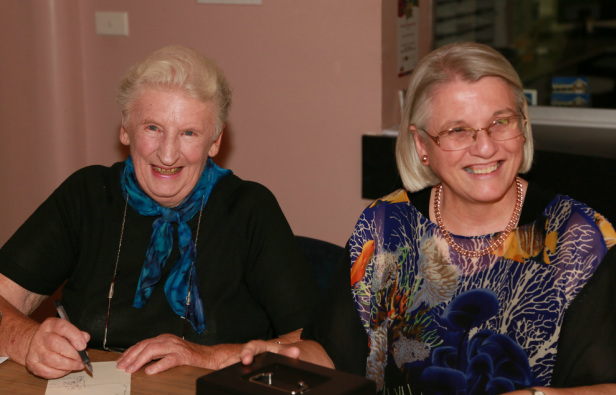 Philippa Hirst (recently retired committee member) and Carol Hole (Secretary) will take your membership application. As a member of the LAS you are required to do a stint 'sitting' at Eskleigh when one of our exhibitions is in progress. This only involves one or two days per year. You are also encouraged to submit work for exhibition. There are many from which to choose and most have prize money for award winners. As well, we offer a number of workshops during the year which you are also encouraged to attend. They are a great way to meet other members as well as increase your experience with various mediums, etc. Another area where we are always needing member assistance is Art Therapy with the Eskleigh residents. Guaranteed you will get as much enjoyment out of this as the residents do - just ask a member who has participated! Enter an artwork for sale and for excellent prizes in sponsored art exhibitions annually. See details in Exhibitions. Enrol in major workshops in a variety of media tutored by visiting professionals from various Australian States. Details in Workshops. Place your CV or a paragraph about yourself and your art and display your artworks in the Featured Artists page. Attend the various mini workshops held by respected local artists to help improve or learn a wide range of art skills. Participate in regular “Friendly Painting Days” at Eskleigh on Mondays and with the Northern Watercolourists on Wednesdays. Travel on well planned “Day Trippers” excursions to interesting sketching and painting sites and sometimes on longer trips. Receive the quarterly Art Beat newsletter, full of information about the activities of our society, photos of members at recent events and other informative articles submitted by members. Art Beat also includes information on exhibition opportunities in the north of the State which enable all members to display and sell their artworks.